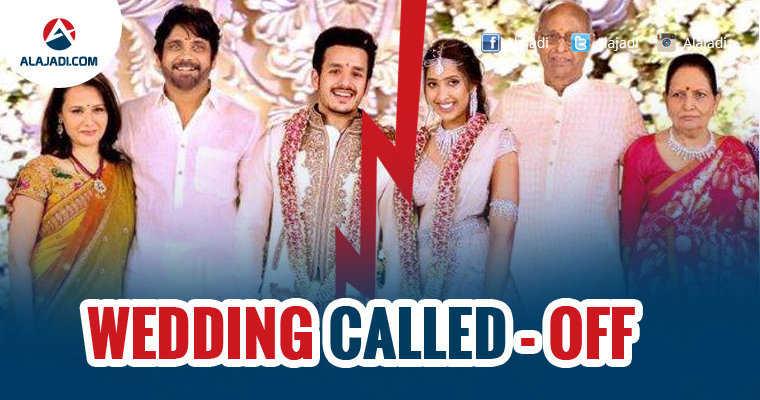 » Akhil Akkineni – Shriya Bhupal’s Wedding Called Off? Nag’s younger son Akhil and G.V.K’s granddaughter Shriya Bhupal, who were engaged in a private affair on Dec 9 at G.V.K House and expected to enter into wedlock in May in Italy, have reportedly called off their wedding. The guests have been informed the same and advised not to book tickets. Even the families of bride to be and groom to be have cancelled their tickets. 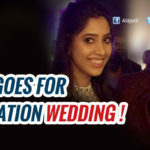 While the reasons are still unclear, according to a national daily, many familes among invitees were asked to cancel their travel tickets to this destination wedding, which was all set in Italy this May. Other invitees too were heard to have received messages to cancel their travel plans, though the reason was not disclosed. Guests who were at grand engagement ceremony expressed their shock, as according to them everything was well until last week and now, both the families too cancelled their air tickets to Italy, they say. Akhil and Shriya have been seeing each other for over two years now. The couple got engaged after families of them given their consent. Shriya was also actively seen in Naga Chaitanya and Samantha‘s engagement ceremony later held at N Convention Centre on Jan 29. 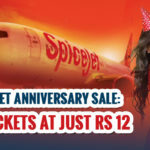 Said to be a last minute decision, nearly 700 guests have to cancel their tickets, though everything was planned, hotels and resorts were booked. Akhil and Shriya were close to each other for last two years and got engaged last December. What went wrong in their paradise and will they reconsider the decision? Let’s wait and watch!